Depending on the package you select, ServiceMaster of Mid NE will come to your home every four to six months. During our first visit, we thoroughly clean the rooms that you choose. SCOTCHGARD is then applied to all of the areas. And the best part is, after your initial cleaning is complete, ServiceMaster will come back every four to six months to clean your carpet! No more worrying about embarrassing spots or dirty traffic lanes! Your carpet will retain a more even, pleasing look. Not to mention the added health benefits that consistent carpet cleaning provides. You pay for the initial cleaning including an application of SCOTCHGARD. Then you invest 10% to 13% per month of the initial cleaning price. You can do this with a credit card, automatic bank withdrawal, or pay up front on an annual basis. With this program you will receive one free emergency cleaning of a spot you could not remove on your own. 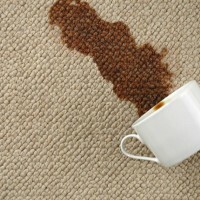 Simply call our office and we will talk you through stain removal techniques. If you are unable to remove the spot, ServiceMaster will come to your home and attempt to remove the spot for you. Our office will call you two to three weeks ahead of time to schedule a cleaning time that fits your schedule. Over 40% SAVINGS vs the regular price of service. We clean your carpet three times annually. A wall to wall deep cleaning and the application of SCOTCHGARD is performed once per year. Traffic lanes in your home are gently cleaned twice each year. One FREE emergency spot cleaning each year. Over 30% SAVINGS vs the regular price of service. We clean your carpet two times annually.